(ii) 4d phytomimetic printing strategies inspired by biological growth patterns to design metrics to create flowers and faces. 7. 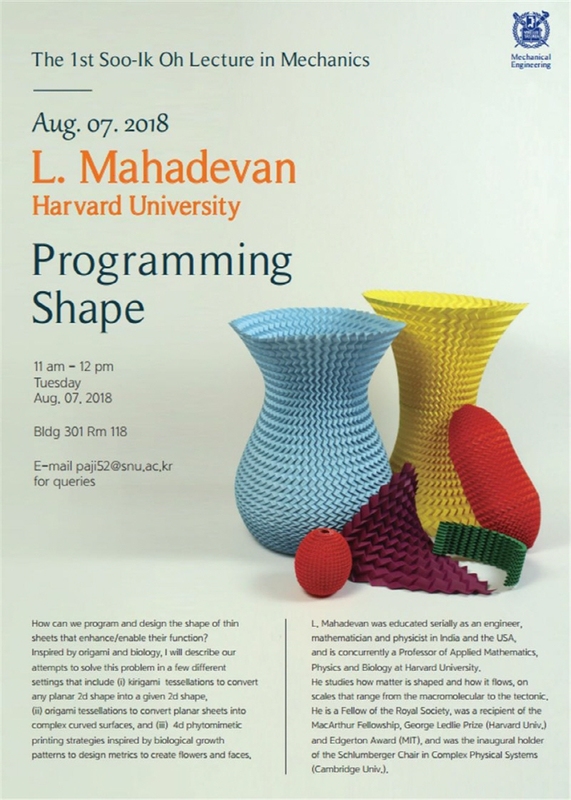 연사 소개 L. Mahadevan was educated serially as an engineer, mathematician and physicist in India and the USA, and is concurrently a Professor of Applied Mathematics, Physics and Biology at Harvard University. He studies how matter is shaped and how it flows, on scales that range from the macromolecular to the tectonic. He is a Fellow of the Royal Society and was a recipient of the MacArthur Fellowship.